Are you ready to enjoy the feeling of riding a motorcycle through West Virginia’s scenic highways? It is going to be the most exciting experience for you. Though, to get all that fun, you must register and title your vehicle with your local DMV. The initial motorcycle registration in West Virginia is similar to car registration. You can register your motorcycle for the first time at your local Division of Motor Vehicles (DMV) office or at the dealer from which you purchased your motorcycle from. If you purchased your motorcycle from the dealer, they will handle all the paperwork for motorcycle registration and titling on your behalf. They will collect all the applicable fees at the time of sale. A bill of sale signed by the seller. Manufacturer’s Certificate of Origin, if you purchased the motorcycle from a dealer. If you are a new resident in West Virginia, you must register and title your motorcycle within 30 days of obtaining West Virginia residency. You will need to take your current registration certificate and title to your local West Virginia DMV office to complete the necessary paperwork. The fees for registering a motorcycle in West Virginia are the same as that of registering a car. However, for a motorcycle license plate fee, you will be charged $16 instead of $30 for car license plates. 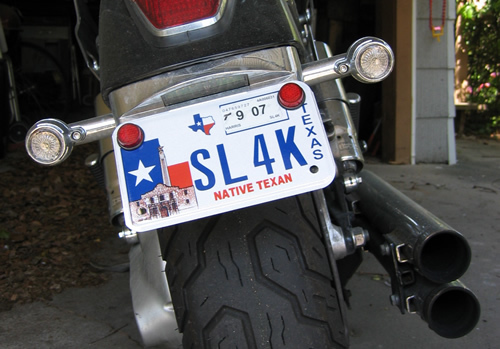 The DMV website provides more information on motorcycle registration and titling fees. After registering your motorcycle with DMV, you will need to take it for safety inspection at the nearest inspection station. The process of renewing a motorcycle registration is similar to renewing a car registration. You will receive a renewal notice from the DMV about 30 days before expiration of your registration. You will then need to complete the renewal application form and return it to the DMV office along with proof of insurance, a personal property tax receipt and other applicable fees. You can do so in person or by mail. The County Assessor handles all personal property taxes. The work of the County Sheriff is to collect the tax. For more information about taxes, contact your county courthouse. You can also renew your motorcycle’s registration at any local County Sheriff’s office. Regardless of where you renew a motorcycle registration, you must pay a $16 registration renewal fee.